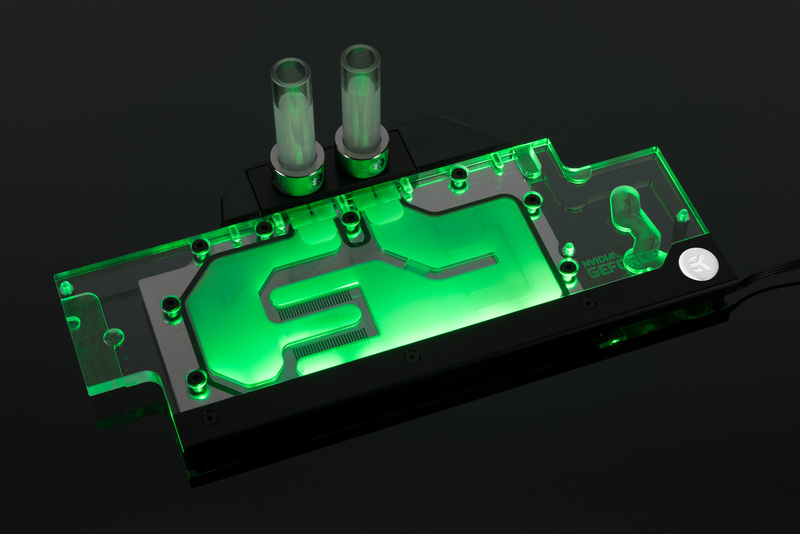 EK® is releasing an RGB water block for NVIDIA® GeForce® Founders Edition based graphics cards! 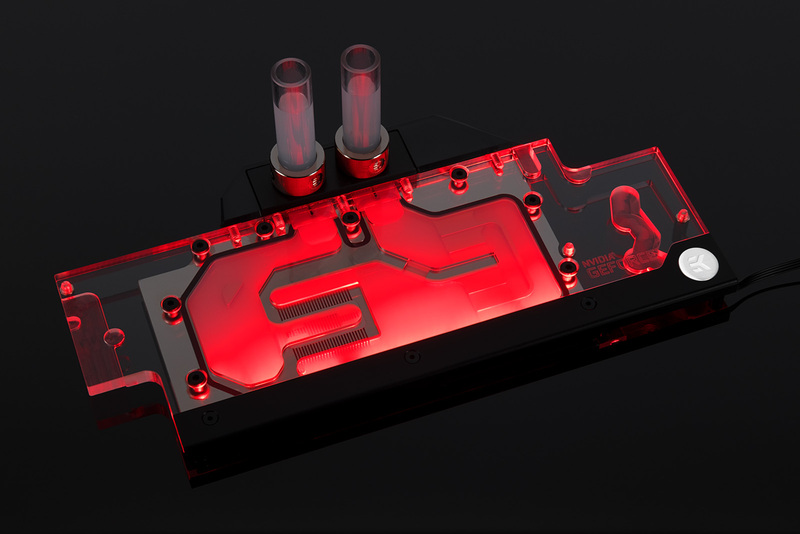 EK® the Slovenia-based premium PC liquid cooling gear manufacturer is expanding its RGB portfolio by releasing the EK-FC GeForce GTX FE RGB water block that is compatible with multiple reference design Founders Edition NVIDIA® GeForce® GTX 1060, 1070, 1080, 1080 Ti, Titan X Pascal and Titan Xp based graphics cards. As known from before, the FE labeled GPU blocks come as a replacement to the old GeForce GTX 10×0 / TITAN X Series of water blocks. This water block directly cools the GPU, RAM as well as VRM (voltage regulation module) as water flows directly over these critical areas, thus allowing the graphics card and it’s VRM to remain stable under high overclocks. 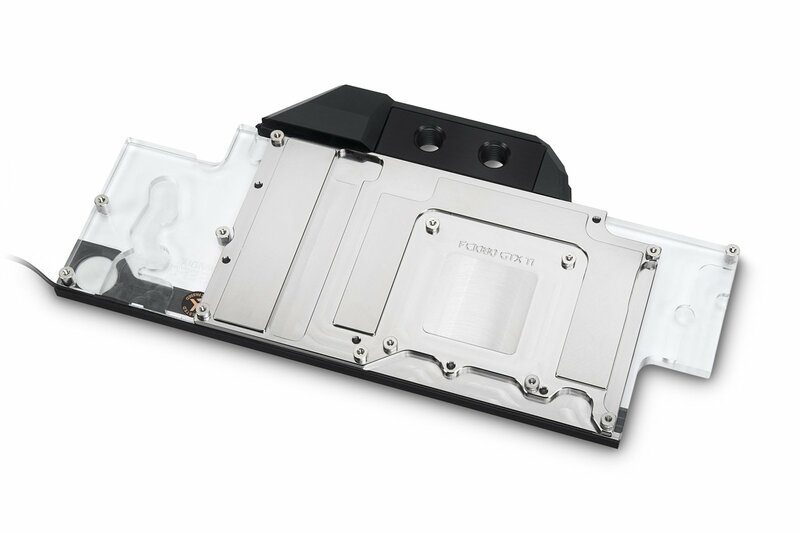 EK-FC GeForce GTX FE RGB water block features a central inlet split-flow cooling engine design for best possible cooling performance, which also works flawlessly with reversed water flow without adversely affecting the cooling performance. Moreover, such design offers great hydraulic performance allowing this product to be used in liquid cooling systems using weaker water pumps. The base of the block is CNC machined out of nickel-plated electrolytic copper while the top is CNC machined out of high-quality acrylic material. The sealing is ensured by quality rubber O-rings. Screw-in brass standoffs are pre-installed and allow for safe, painless installation procedure. EK® recommends the purchase of aesthetic retention backplate which improves the looks of your graphics cards and also provides some passive cooling to the VRM circuit board. 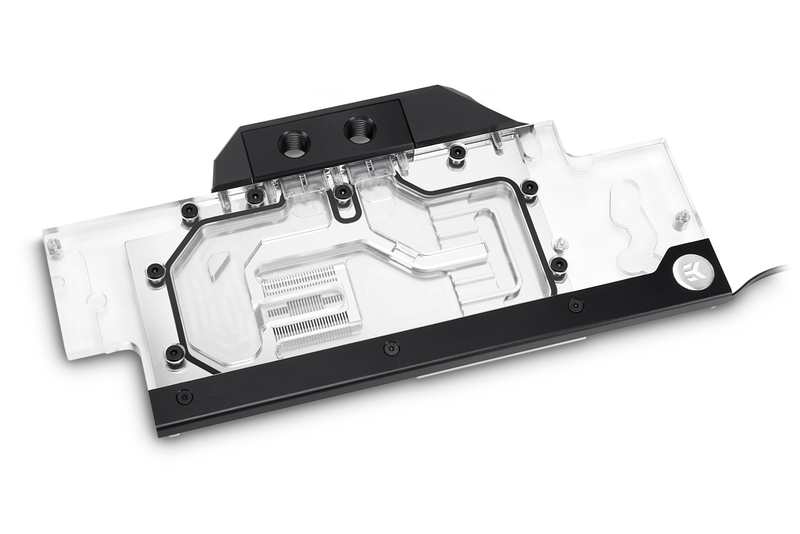 The EK-FC GeForce GTX FE RGB water block is compatible with all EK-FC1080 GTX Backplates, EK-FC1080 GTX Ti Backplates, and EK-FC Titan X Pascal Backplates. The block also features a special plastic cover over the block Terminal, this add-on is designed to reveal the GeForce® GTX logo, visible from the side. Owners of Founders Edition NVIDIA® GeForce® GTX 1080 Ti GPUs can also purchase and additional single-slot I/O bracket which replaces the original two-slot in order to make installation of multiple graphics cards easier and also transforms the GPU into a gorgeous single slot solution. 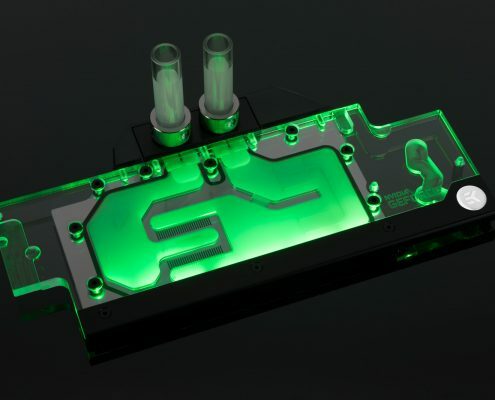 The EK-FC GeForce GTX FE RGB water block is compatible with popular RGB sync technologies from all major motherboard manufacturers since it features a classic 4-pin 12V RGB LED strip. These water blocks are made in Slovenia, Europe and are available for purchase through EK Webshop and Partner Reseller Network. In the table below you can see manufacturer suggested retail price (MSRP) with VAT included.